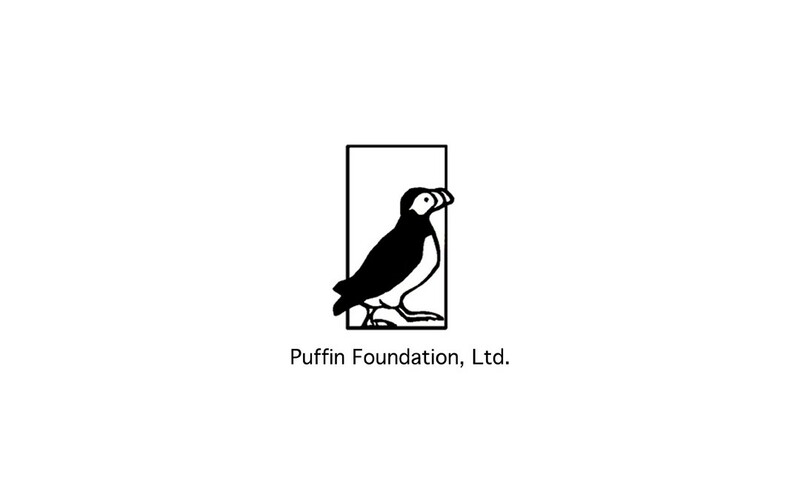 The Puffin Foundation Ltd. has sounght to open the doors of artistic expression by providing grants to artists and art organizations who are often excluded from mainstream opportunitites due to their race, gender, or social philosophy. Why the Puffin? The Puffin, once endangered in the northeastern United States, was returned to it’s native habitats through the efforts of a concerned citizenry. Our name is a metaphor for how we perceive our mission in the arts: to join with the other concerned groups and individuals to ensure that the arts not merely survive, but thrive at all levels of our society. To learn more, visit www.puffinfoundation.org.